Wellingtons, originally uploaded by [Zakkaliciousness]. 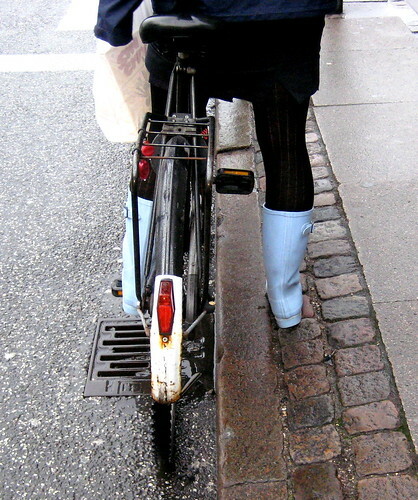 Rainwear for cyclists in Copenhagen. Am thus far successfully resisting the urge to click to ron's blog. What I actually was going to post about was that your pics here (and on Cycliciousness) make we want to brace myself, EMbrace the cold and head up to old Cph for some cool coastin'.